I was in reading slump at the beginning of the year. This past month I was able to cure it by getting into Jennifer Lynn Barnes’ thriller series, The Naturals. I loved both books very much and I’m super excited for the third novel coming out this fall. 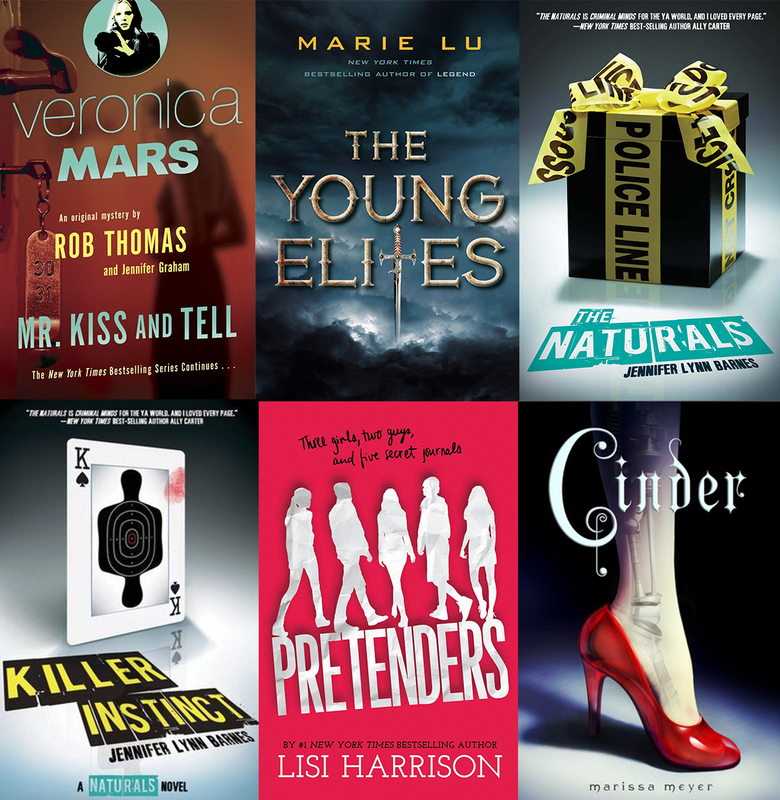 Marie Lu’s The Young Elites was pretty great, too. My only regret was that I read this book right in the middle of my reading slump so it was hard for me to get into at the beginning. But as soon as I got to the middle, I was sucked in and left heartbroken at the end. I also read Lisi Harrison’s Pretenders. My Junior High years basically consisted of reading only Nancy Drew, Hardy Boys, Ally Carter, and Lisi Harrison. Yep, I’m not even joking a little bit. So of course I had to pick up Lisi Harrison’s newest series. I read the first book and will read the second. It’s definitely a little younger than what I read now, but I must satisfy my younger self by reading this new series. I read the second Veronica Mars novel as well. I marathoned through all three seasons last spring and fell in love with Veronica so when books were announced, of course I was going to buy and read them. Lastly, I read Marissa Meyer’s Cinder! I loved this read so much and plan on finishing the series. I definitely suggest reading The Lunar Chronicles!